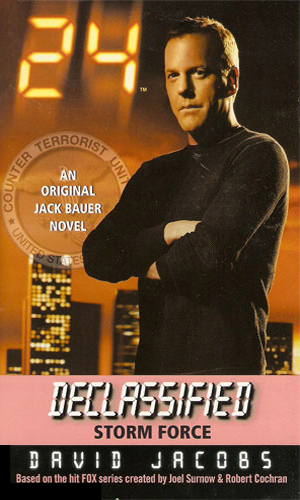 Jack Bauer is an agent for the Counter-Terrorism Unit. 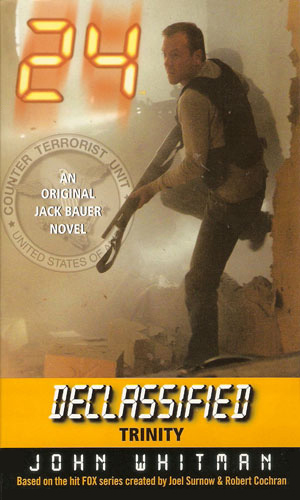 A former CIA agent, always at odds with his superiors over their reticense to do what is necessary and his conviction that the end truly justifies the means, he continually saves the day but pays dearly for it. When the nation suffered the 9/11 attack, the Counter-Terrorism Unit was created under the control of Homeland Security. Located in Los Angeles, or at least one section of it, it is tasked with ferreting out terror cells on the west coast and keeping the country safe. The latest in technology is employed by a highly skilled team but it is always people like Bauer that have to step into harm's way to take down the bad guys. Bauer has had a lot of experience doing this kind of work. After graduating from UCLA and then getting a Masters in Criminology from Berkeley, Bauer joined the army instead of going to work for his father in technology company. Initially an enlisted man, he became an officer through OCS and went on to become a highly decorated member of Delta Force, earning a Silver Star along the way. 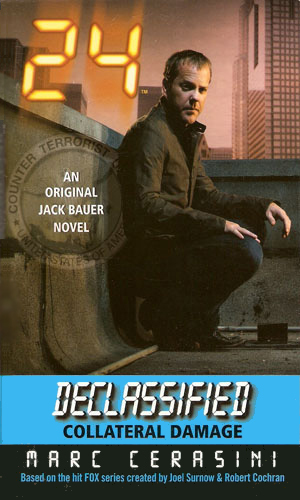 Bauer was a Captain when he left the military after 15 years to work for a time with L.A.'s SWAT team and then as an operative with the CIA. When CTU was established, he was one of the first to be asked to join. 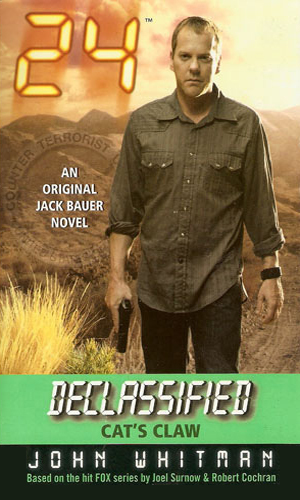 Jack Bauer is a widower with a grown daughter named Kim. Bauer is fully aware that his tactics are highly frowned upon by most people but he has mentioned on more than one occasion, when he sees people in trouble, he knows he has to do anything he can to help, even if there are rules against it. His head knows it is wrong but his heart won't let him see innocent people suffer while he respects the civil rights of the one who put them in danger. 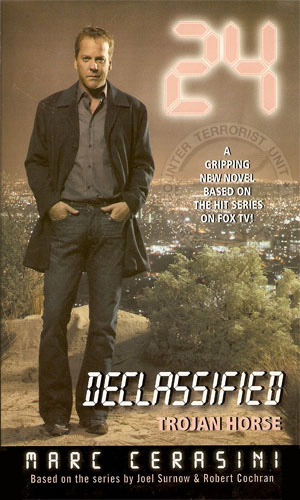 The incredibly good, albeit stark, television series "24" has spawned a set of action adventures based on the cases of Jack Bauer. 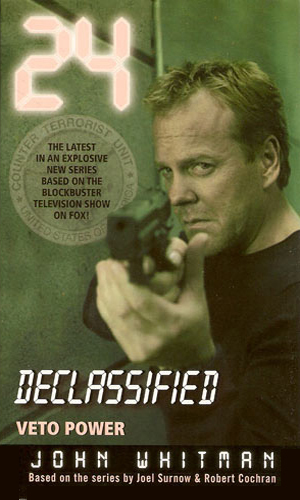 Played to perfection by Kiefer Sutherland, the show recounts crises which start suddenly and come to a head all within a 24-hour period. 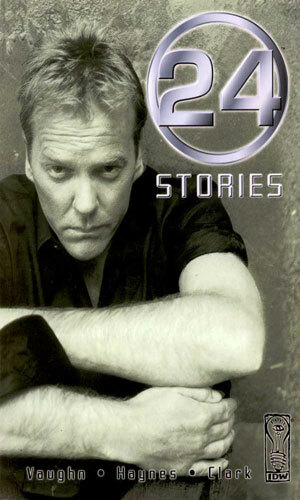 Because of the tactics that Bauer uses, violence and torture against the bad guys, and the popularity of the show, 24 was often villified by the critics and liberals but it lasted 8 full seasons and talk of a movie persists. Despite being wrongly sought by the FBI, Bauer must stop a plot by a mole using criminals from several different sectors. 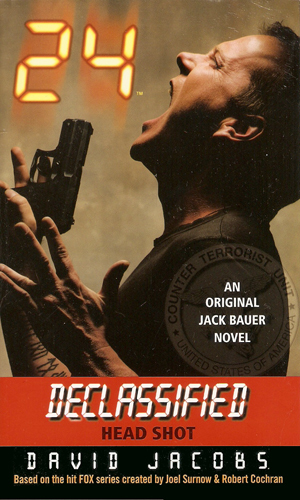 After an assignment has gone bad, Bauer is given the thankless job of investigating a militia group. He finds it is not as innocuous as most believe. A planned televised function between a world leaders and popular Hollywood elite is the target of an unknown group. As the G-8 summit commences in Los Angeles, the internation delegates are being targeted by two separate terrorist groups. Technology is being stolen from Area 51 and delivered to terrorists. The only way for Bauer to end the crisis is to break into that maximum security location. 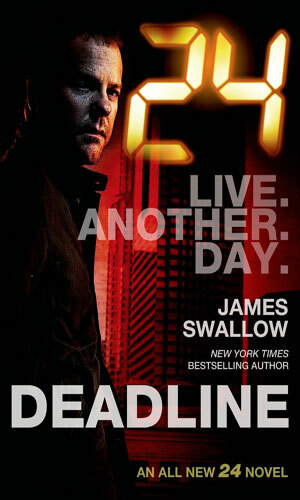 Cut from CTU and hunted for murder, Bauer is nevertheless the best agent to stop a genius madman. Two opposing forces from Latin America are about to clash violently in hurricane-ravaged New Orleans. A secluded New Jersey community is the refuge for a group of Islamic radicals, planning to exact revenge on their new home. An annual summit of America's powerful industrialists in the mountains of Colorado is attracting those out to wreck havoc and Bauer must stop them. 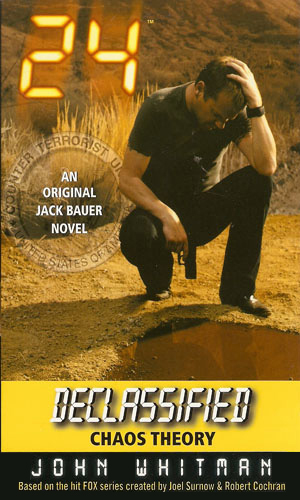 Bauer is called to find who at a top-secret research facility at Los Alamos is really a mole out to steal a weapon that could kill thousands. 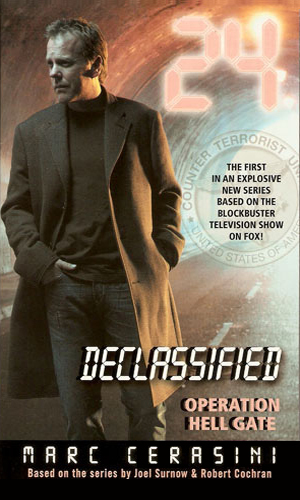 Jack Bauer has been declared a fugitive by his own government and with most of CTU hurt, dead, or in jail, he is on his own as the FBI and Russia's FSB both go all out to find him, though the latter want him dead, not caught. 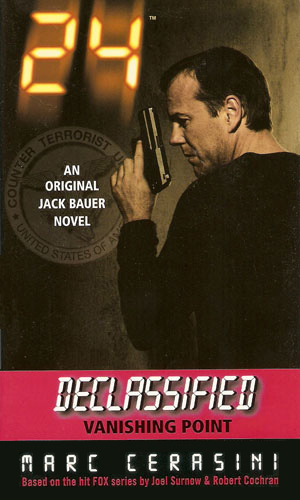 On his own, Jack Bauer eludes the police of the world as he takes on the arms dealer Karl Rask but when he thinks he has cornered the man on a ship, that vessel is attacked by suspiciously well-informed Somali pirates. Two CIA agents finally have the proof that an American arms dealer is selling munitions to terrorist groups. 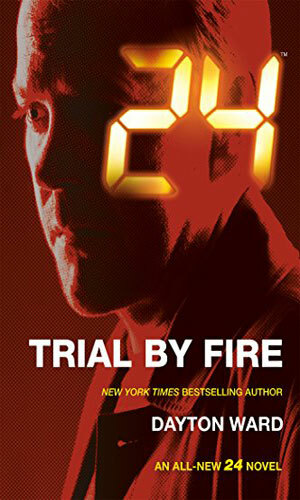 One of the agents is then killed and the other, a young Jack Bauer, must live long enough to tell the story. 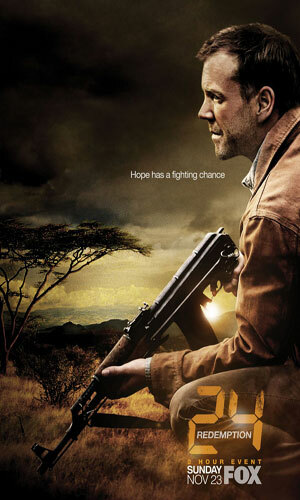 Former Federal Agent Jack Bauer confronts an African dictator who has ordered his men to capture the children Bauer oversees. 25 Day 2: 8:00 A.M.-9:00 A.M.
26 Day 2: 9:00 A.M.-10:00 A.M.
27 Day 2: 10:00 A.M.-11:00 A.M.
28 Day 2: 11:00 A.M.-12:00 P.M.
29 Day 2: 12:00 P.M.-1:00 P.M.
30 Day 2: 1:00 P.M.-2:00 P.M.
31 Day 2: 2:00 P.M.-3:00 P.M.
32 Day 2: 3:00 P.M.-4:00 P.M.
33 Day 2: 4:00 P.M.-5:00 P.M.
34 Day 2: 5:00 P.M.-6:00 P.M.
35 Day 2: 6:00 P.M.-7:00 P.M.
36 Day 2: 7:00 P.M.-8:00 P.M.
37 Day 2: 8:00 P.M.-9:00 P.M.
38 Day 2: 9:00 P.M.-10:00 P.M.
39 Day 2: 10:00 P.M.-11:00 P.M.
40 Day 2: 11:00 P.M.-12:00 A.M.
41 Day 2: 12:00 A.M.-1:00 A.M.
42 Day 2: 1:00 A.M.-2:00 A.M.
43 Day 2: 2:00 A.M.-3:00 A.M.
44 Day 2: 3:00 A.M.-4:00 A.M.
45 Day 2: 4:00 A.M.-5:00 A.M.
46 Day 2: 5:00 A.M.-6:00 A.M.
47 Day 2: 6:00 A.M.-7:00 A.M.
48 Day 2: 7:00 A.M.-8:00 A.M.
49 Day 3: 1:00 P.M.-2:00 P.M.
50 Day 3: 2:00 P.M.-3:00 P.M.
51 Day 3: 3:00 P.M.-4:00 P.M.
52 Day 3: 4:00 P.M.-5:00 P.M.
53 Day 3: 5:00 P.M.-6:00 P.M.
54 Day 3: 6:00 P.M.-7:00 P.M.
55 Day 3: 7:00 P.M.-8:00 P.M.
56 Day 3: 8:00 P.M.-9:00 P.M.
57 Day 3: 9:00 P.M.-10:00 P.M.
58 Day 3: 10:00 P.M.-11:00 P.M.
59 Day 3: 11:00 P.M.-12:00 A.M.
60 Day 3: 12:00 A.M.-1:00 A.M.
61 Day 3: 1:00 A.M.-2:00 A.M.
62 Day 3: 2:00 A.M.-3:00 A.M.
63 Day 3: 3:00 A.M.-4:00 A.M.
64 Day 3: 4:00 A.M.-5:00 A.M.
65 Day 3: 5:00 A.M.-6:00 A.M.
66 Day 3: 6:00 A.M.-7:00 A.M.
67 Day 3: 7:00 A.M.-8:00 A.M.
68 Day 3: 8:00 A.M.-9:00 A.M.
69 Day 3: 9:00 A.M.-10:00 A.M.
70 Day 3: 10:00 A.M.-11:00 A.M.
71 Day 3: 11:00 A.M.-12:00 P.M.
72 Day 3: 12:00 P.M.-1:00 P.M.
73 Day 4: 7:00 A.M.-8:00 A.M.
74 Day 4: 8:00 A.M.-9:00 A.M.
75 Day 4: 9:00 A.M.-10:00 A.M.
76 Day 4: 10:00 A.M.-11:00 A.M.
77 Day 4: 11:00 A.M.-12:00 P.M.
78 Day 4: 12:00 P.M.-1:00 P.M.
79 Day 4: 1:00 P.M.-2:00 P.M.
80 Day 4: 2:00 P.M.-3:00 P.M.
81 Day 4: 3:00 P.M.-4:00 P.M.
82 Day 4: 4:00 P.M.-5:00 P.M.
83 Day 4: 5:00 P.M.-6:00 P.M.
84 Day 4: 6:00 P.M.-7:00 P.M.
85 Day 4: 7:00 P.M.-8:00 P.M.
86 Day 4: 8:00 P.M.-9:00 P.M.
87 Day 4: 9:00 P.M.-10:00 P.M.
88 Day 4: 10:00 P.M.-11:00 P.M.
89 Day 4: 11:00 P.M.-12:00 A.M.
90 Day 4: 12:00 A.M.-1:00 A.M.
91 Day 4: 1:00 A.M.-2:00 A.M.
92 Day 4: 2:00 A.M.-3:00 A.M.
93 Day 4: 3:00 A.M.-4:00 A.M.
94 Day 4: 4:00 A.M.-5:00 A.M.
95 Day 4: 5:00 A.M.-6:00 A.M.
96 Day 4: 6:00 A.M.-7:00 A.M.
97 Day 5: 7:00 A.M.-8:00 A.M.
98 Day 5: 8:00 A.M.-9:00 A.M.
99 Day 5: 9:00 A.M.-10:00 A.M.
100 Day 5: 10:00 A.M.-11:00 A.M.
101 Day 5: 11:00 A.M.-12:00 P.M.
102 Day 5: 12:00 P.M.-1:00 P.M.
103 Day 5: 1:00 P.M.-2:00 P.M.
104 Day 5: 2:00 P.M.-3:00 P.M.
105 Day 5: 3:00 P.M.-4:00 P.M.
106 Day 5: 4:00 P.M.-5:00 P.M.
107 Day 5: 5:00 P.M.-6:00 P.M.
108 Day 5: 6:00 P.M.-7:00 P.M.
109 Day 5: 7:00 P.M.-8:00 P.M.
110 Day 5: 8:00 P.M.-9:00 P.M.
111 Day 5: 9:00 P.M.-10:00 P.M.
112 Day 5: 10:00 P.M.-11:00 P.M.
113 Day 5: 11:00 P.M.-12:00 A.M.
114 Day 5: 12:00 A.M.-1:00 A.M.
115 Day 5: 1:00 A.M.-2:00 A.M.
116 Day 5: 2:00 A.M.-3:00 A.M.
117 Day 5: 3:00 A.M.-4:00 A.M.
118 Day 5: 4:00 A.M.-5:00 A.M.
119 Day 5: 5:00 A.M.-6:00 A.M.
120 Day 5: 6:00 A.M.-7:00 A.M.
121 Day 6: 6:00 A.M.-7:00 A.M.
122 Day 6: 7:00 A.M.-8:00 A.M.
123 Day 6: 8:00 A.M.-9:00 A.M.
124 Day 6: 9:00 A.M.-10:00 A.M.
125 Day 6: 10:00 A.M.-11:00 A.M.
126 Day 6: 11:00 A.M.-12:00 P.M.
127 Day 6: 12:00 P.M.-1:00 P.M.
128 Day 6: 1:00 P.M.-2:00 P.M.
129 Day 6: 2:00 P.M.-3:00 P.M.
130 Day 6: 3:00 P.M.-4:00 P.M.
131 Day 6: 4:00 P.M.-5:00 P.M.
132 Day 6: 5:00 P.M.-6:00 P.M.
133 Day 6: 6:00 P.M.-7:00 P.M.
134 Day 6: 7:00 P.M.-8:00 P.M.
135 Day 6: 8:00 P.M.-9:00 P.M.
136 Day 6: 9:00 P.M.-10:00 P.M.
137 Day 6: 10:00 P.M.-11:00 P.M.
138 Day 6: 11:00 P.M.-12:00 A.M.
139 Day 6: 12:00 A.M.-1:00 A.M.
140 Day 6: 1:00 A.M.-2:00 A.M.
141 Day 6: 2:00 A.M.-3:00 A.M.
142 Day 6: 3:00 A.M.-4:00 A.M.
143 Day 6: 4:00 A.M.-5:00 A.M.
144 Day 6: 5:00 A.M.-6:00 A.M.
145 Day 7: 8:00 A.M.-9:00 A.M.
146 Day 7: 9:00 A.M.-10:00 A.M.
147 Day 7: 10:00 A.M.-11:00 A.M.
148 Day 7: 11:00 A.M.-12:00 P.M.
149 Day 7: 12:00 P.M.-1:00 P.M.
150 Day 7: 1:00 P.M.-2:00 P.M.
151 Day 7: 2:00 P.M.-3:00 P.M.
152 Day 7: 3:00 P.M.-4:00 P.M.
153 Day 7: 4:00 P.M.-5:00 P.M.
154 Day 7: 5:00 P.M.-6:00 P.M.
155 Day 7: 6:00 P.M.-7:00 P.M.
156 Day 7: 7:00 P.M.-8:00 P.M.
157 Day 7: 8:00 P.M.-9:00 P.M.
158 Day 7: 9:00 P.M.-10:00 P.M.
159 Day 7: 10:00 P.M.-11:00 P.M.
160 Day 7: 11:00 P.M.-12:00 A.M.
161 Day 7: 12:00 A.M.-1:00 A.M.
162 Day 7: 1:00 A.M.-2:00 A.M.
163 Day 7: 2:00 A.M.-3:00 A.M.
164 Day 7: 3:00 A.M.-4:00 A.M.
165 Day 7: 4:00 A.M.-5:00 A.M.
166 Day 7: 5:00 A.M.-6:00 A.M.
167 Day 7: 6:00 A.M.-7:00 A.M.
168 Day 7: 7:00 A.M.-8:00 A.M.
169 Day 8: 4:00P.M. - 5:00P.M. 170 Day 8: 5:00P.M. - 6:00P.M. 171 Day 8: 6:00P.M. - 7:00P.M. 172 Day 8: 7:00P.M. - 8:00P.M. 173 Day 8: 8:00P.M. - 9:00P.M. 174 Day 8: 9:00P.M. - 10:00P.M. 175 Day 8: 10:00P.M. - 11:00P.M. 176 Day 8: 11:00P.M. - 12:00A.M. 177 Day 8: 12:00A.M. - 1:00A.M. 178 Day 8: 1:00A.M. - 2:00A.M. 179 Day 8: 2:00A.M. - 3:00A.M. 180 Day 8: 3:00A.M. - 4:00A.M. 181 Day 8: 4:00A.M. - 5:00A.M. 182 Day 8: 5:00A.M. - 6:00A.M. 183 Day 8: 6:00A.M. - 7:00A.M. 184 Day 8: 7:00A.M. - 8:00A.M. 185 Day 8: 8:00A.M. - 9:00A.M. 186 Day 8: 9:00A.M. - 10:00A.M. 187 Day 8: 10:00A.M. - 11:00A.M. 188 Day 8: 11:00A.M. - 12:00P.M. 189 Day 8: 12:00P.M. - 1:00P.M. 190 Day 8: 1:00P.M. - 2:00P.M. 191 Day 8: 2:00P.M. - 3:00P.M. 192 Day 8: 3:00P.M. - 4:00P.M. 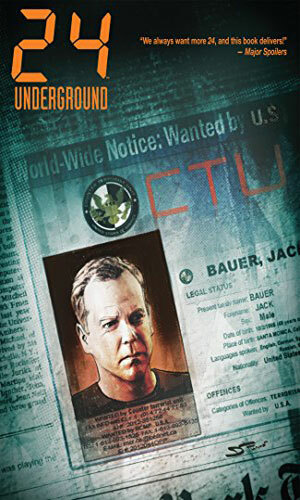 Graphic novel telling the story of the first mission Jack Bauer had with CTU. His mission is to keep a female terrorist alive despite many trying to kill her and he only has one bullet left. 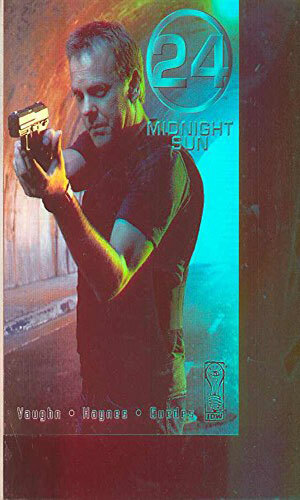 Graphic novel depicting a time when Jack Bauer is undercover inside the Salazar drug cartel. He learns the Secretary of State and the Russian Foreign Minister have been kidnapped by Chechen rebels. He must find a way to free them without blowing his cover. 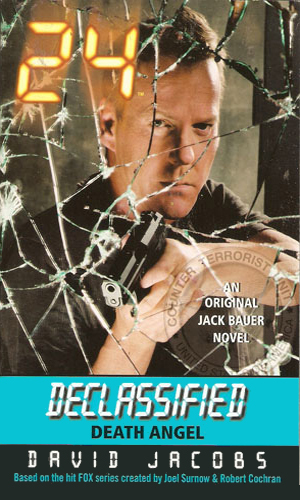 Graphic novel telling the mission that had Jack Bauer up against a group of terrorists attacking an experimental oil drilling installation with the goal of destroying America's oil supply. Trade Paperback compilation of the 5-issue mini-series. 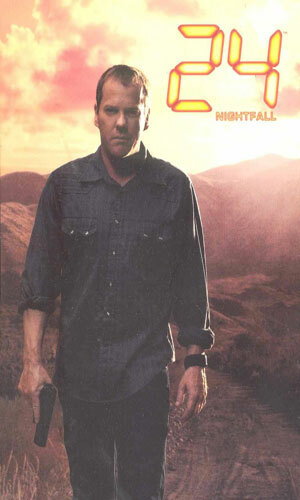 Operation: Nightfall tells how Jack Bauer leading a team of Special Forces operative go after a Serbian mass murderer named Victor Drazen. Trade Paperback compilation of the 5-issue mini-series. 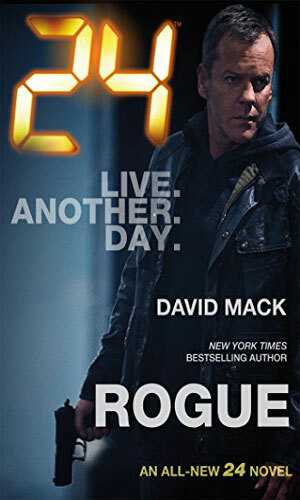 Details the events in Jack Bauer's life after the end of the last season and before the activity in Live Another Day. I think the television series is one of the best that that box has offered in a long time. Action packed, in-your-face, wimps-need-not-apply. Just a few descriptions. Liberals hate the series! Capitalizing on that success, this series of adventures try to capture the same energy and for the most part they do. The books are limited by the fact that nothing they do can change much because it is the television series that dictates the future. Still they are a fun quick read. Regarding the television series and the uproar that came with it, I think it did a terrific job presenting the truth that our covert and law enforcement people face on a routine basis. Namely, if five people are about to die and one person's self-incriminating answers can save them, what is the right choice: the lives of the innocent or the civil rights of the suspect? 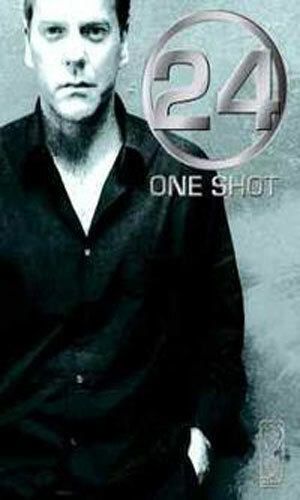 It is a moral dilemna that 24 presented on a routine basis and got blasted for the choice that the main character made. What was odd, though, was that the series itself was damned by the press when there were more characters in the show aghast at what Bauer did than those that applauded it. A fascinating dichotomy that is certainly the subject for a lot of doctoral papers! I haven't read any of these books, but had to challenge the assertion that "Liberals hate the series" I'm a liberal and I watched every episode, some seasons more than once. I think Bill Clinton counts as a liberal as well and he's an avowed fan.